Waters Vacuum Truck Service is proud to be able to offer its services to commercial businesses in the Reno, Sparks, Carson City and surrounding areas. Our company has strengthened its number of trucks and number of employees to handle the amount of commercial growth that has occurred in the region, and we continue to deliver the high quality service that companies have come to expect from the Waters name. We provide installation and maintenance of Grease Traps & Interceptors as well as flexible maintenance schedules that ensure compliance with city and county regulations to help avoid costly back-ups and/or fines. We provide Installation and Maintenance of Sand/Oil Interceptors as well as flexible maintenance schedules that ensure compliance with city and county regulations to help avoid costly back-ups and/or fines. Waters Vacuum Truck Service complete cleaning of curb/gutter storm drain systems to allow proper flow of storm drain run-off keeping your streets clean. 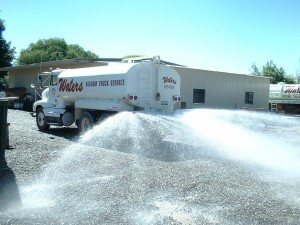 Waters Vacuum Truck Service are experts in augering and Hydro-Flushing (high-pressured water) of floor drains and lines to clear out grease build-up and debris. Ask about our preventative maintenance schedules! I have been a customer for 20+ years and your service has always been excellent. Your technician Francisco is exceptional. He is a credit to your company. The best service I have received from any of the companies I have dealt with – Francisco is the best! Greg was super polite, fast, and friendly and answered my questions completely. He explained what he was doing, etc. Joe was very friendly also when I called in got same day service too, which I really appreciate. I rate Waters as an A plus. Thank you. I have called Waters out in the past and am always very satisfied with the quality of service provided. Thank you. I refer customers to you all the time. You hire great employees. They are professional, helpful, friendly and courteous. Waters has always been great – show up when you say you will and friendly employees are always a pleasure.